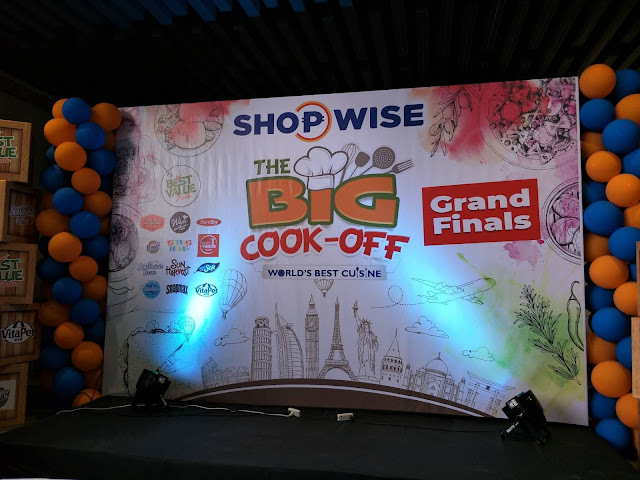 It was an exciting day as the cooking contenders for the Shopwise: The Big Cook-Off from Apicius Culinary Arts and bloggers meet for the grand finals at the Shopwise Circuit Makati last August 5, 2018. The finalists cooking prowess will be tested, who do you think will emerge as the winner? 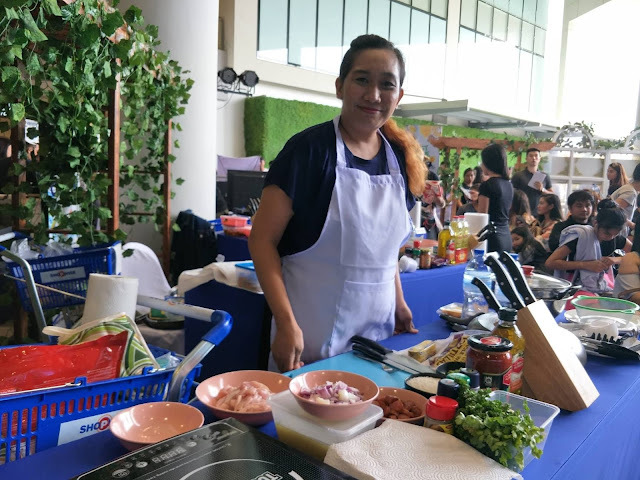 During the first leg of the cook-off which was held in Shopwise Sucat, the contestants from Apicius Culinary Arts and bloggers battle it out to present the best pasta dish. Two winners each emerge as winners from Apicius and the bloggers group. The second leg challenged the contests from Apicius and the bloggers group to create an appetizing dish with Asian Fusion as theme. During the Grand Finals, the finalists were given an hour to prepare their special creation for the finals with World's Best Cuisine as theme. 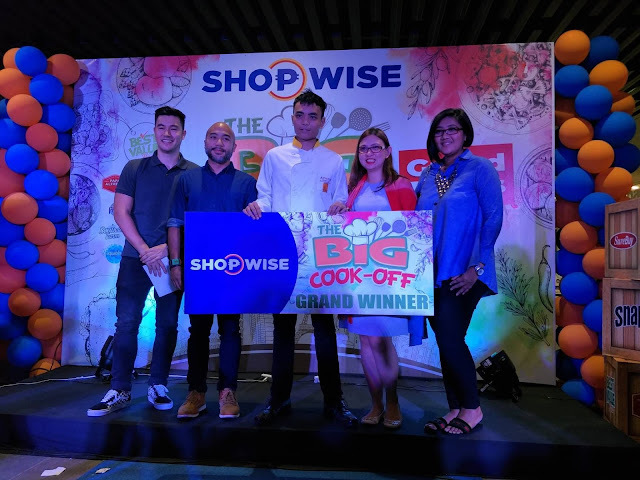 Of course, they get to shop for their ingredients in Shopwise Circuit Makati. 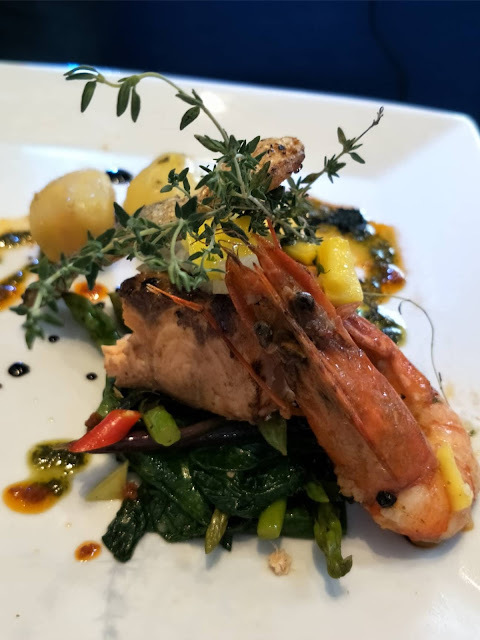 Here's an amazingly presented dish prepared by one of the finalists from Apicius Culinary Arts. 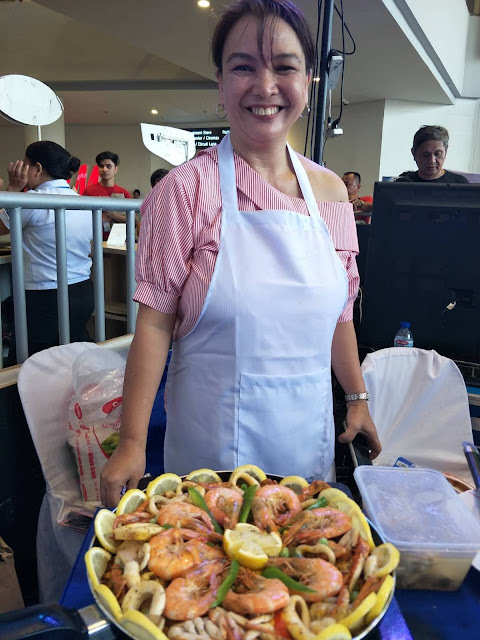 This is Ms. Jinky Umali, one of the finalists from the bloggers group with her paella creation. Every one did their best but like any other contest, there is only one champion. Mr. Nathaniel Uy. He presented an interesting dish that pays homage to his Chinese roots. Congratulations! 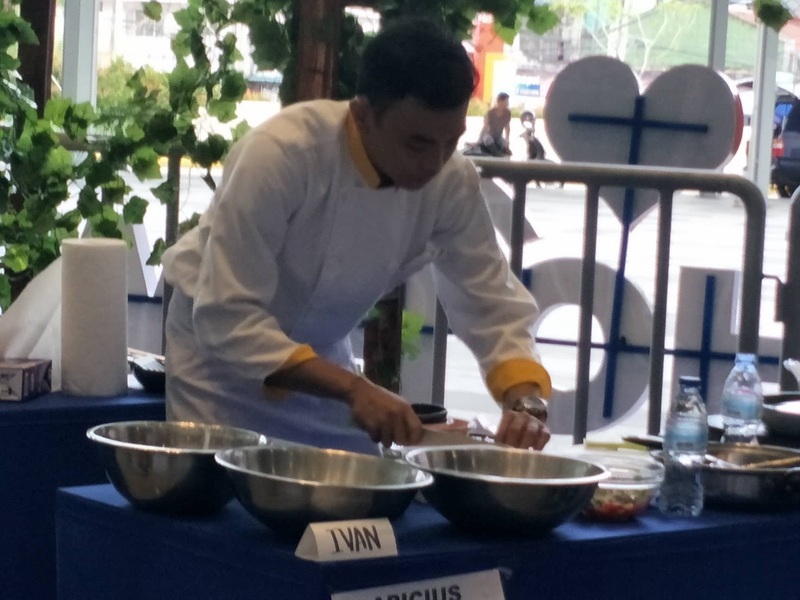 And for the Apicius Culinary Arts group, Mr. Prinze Ivan Mallari emerge as the Grand Champion. 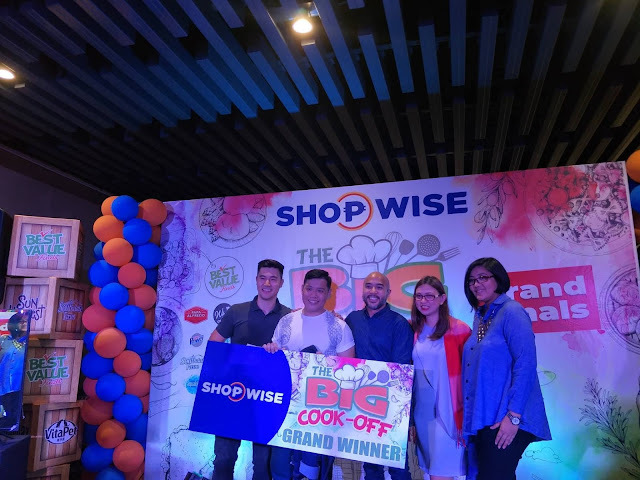 It was quite interesting because Ivan received a lot of criticism especially from Chef JP Anglo, one of the three judges but it was such a nice surprise when he was declared as the winner. 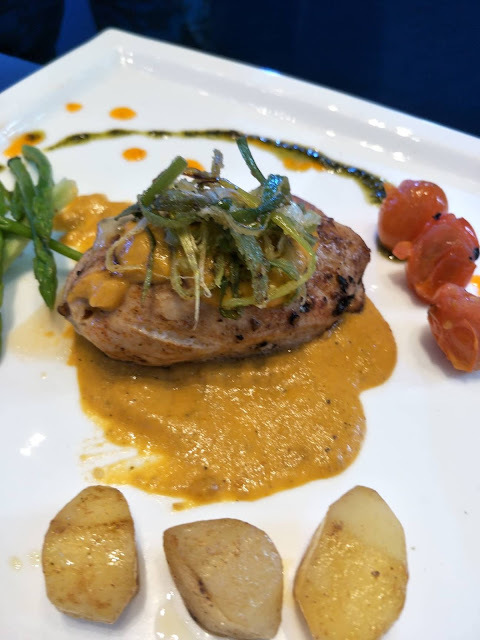 This is Ivan's winning creation- a chicken dish a la Mediterranean.